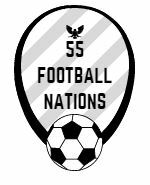 55 Football Nations started his microstate mini-break with nine goals in San Marino as Virtus thrashed Murata 8-1. Incredibly, another nine goals followed in Luxembourg when Fola beat US 9-0 in the little Esch derby. The Lux top two served up more competitive fare. Travel highlights include the World Heritage centres of San Marino and Luxembourg City and an alien bridge in Esch. Liked the photos of Luxembourg City. Is it worth a visit? The old city is worth a leisurely day. The rest is like a rubbish version of a French city.